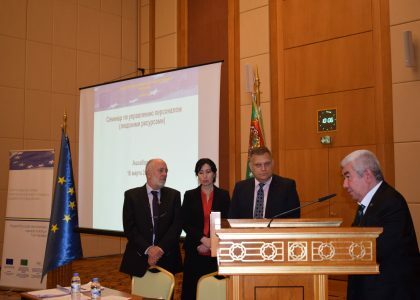 On 16-17 October 17, 2018 two workshops on Training Quality Assurance were organized by the EU funded project “Support for Public Administration Capacity Building in Turkmenistan” for the teaching staff of the Turkmen State University named after Magtymguly and the Institute of International Relations of the Ministry of Foreign Affairs of Turkmenistan. The workshops were chaired by the Team Leader of the project, Mr. Folkert Milch. After his welcoming speech, Mr. Folkert Milch noted that training quality is a main instrument to achieve the international level of education. 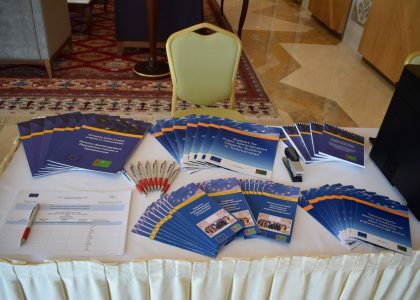 Therefore, practical instruments such as questionnaires for measuring the quality of training were developed and presented by the project in a conference in March 2018. The main speaker of the workshop, Mr. Harry List, short term expert of the project introduced and discussed with participants international standards for training quality assurance, its models and underlying principles and values. Some of the main topics, covered by his presentation, were European standards and guidelines of quality in higher education, Bologna process and many other aspects, contributing to the common understanding of quality assurance for learning and teaching. 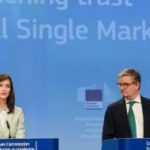 Mr Harry List also stressed his attention on the importance of the relevant internal and external quality systems in the institutions, providing with the examples of quality development for excellent programmes, the system of monitoring and controlling the quality of education in European countries. The sessions were followed by the presentation of Ms. Aysenem Agabayeva, representative of the International University for the Humanities and Development. She shared the experience of the International University for the Humanities and Development in the implementation of internal quality assurance system. The participants actively discussed the requirements and standards of certification, recognition and accreditation, as part of quality assurance process. 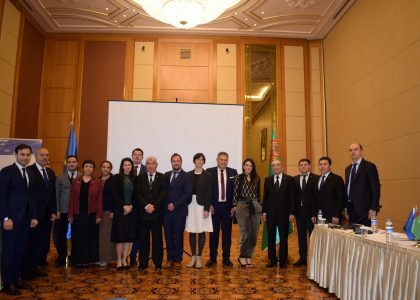 During the two days, around 150 lecturers and professors of the State University and the Institute of International Relations took part in the workshops and received certificates of participation. The management of the institutions expressed their appreciation for the effective and efficient work of the project and assured their strong wish for future cooperation. 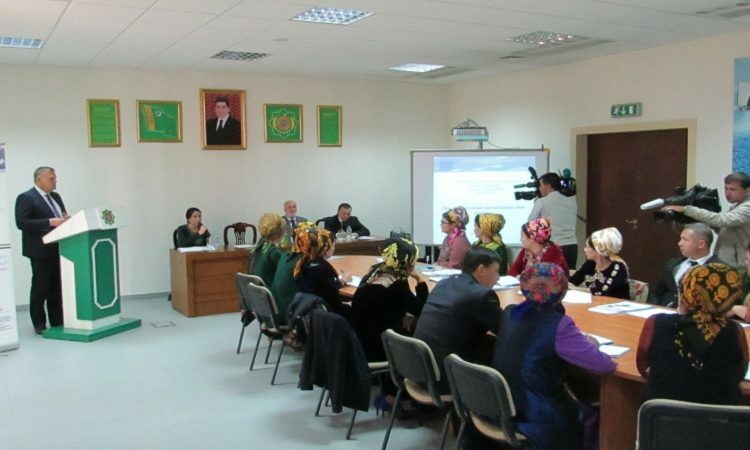 During the workshop in the Institute of International Relations of the Ministry of Foreign Affairs of Turkmenistan, the project team had an opportunity to have an excursion to the premises of the institution, in particular, classes and conference halls, German and Turkish libraries, TV studios, museum and Sustainable Development Goals Center. The events aroused great interest in the media. The interviews provided by Mr. Folkert about the activities and plans of the project were broadcasted on the state TV channels. The event ended with the delivery of certificates of participation.